This is a paid partnership. All opinions are my own. 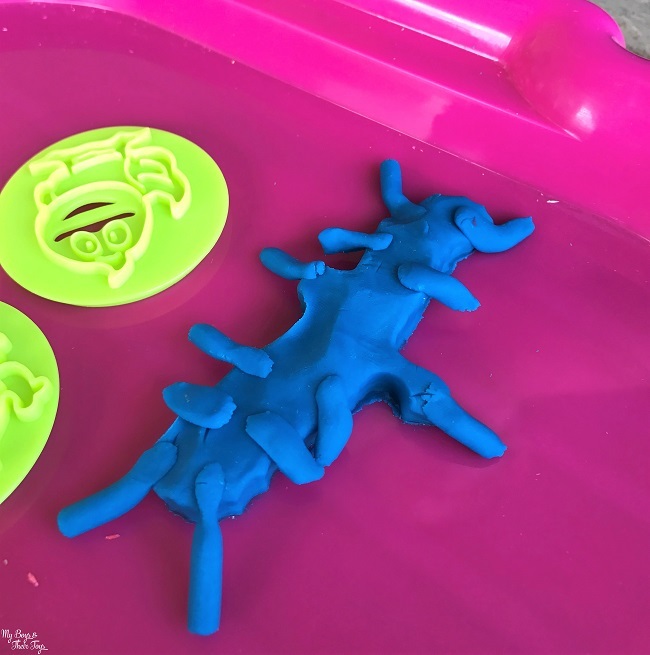 One of our favorite ways to play is with modeling dough. 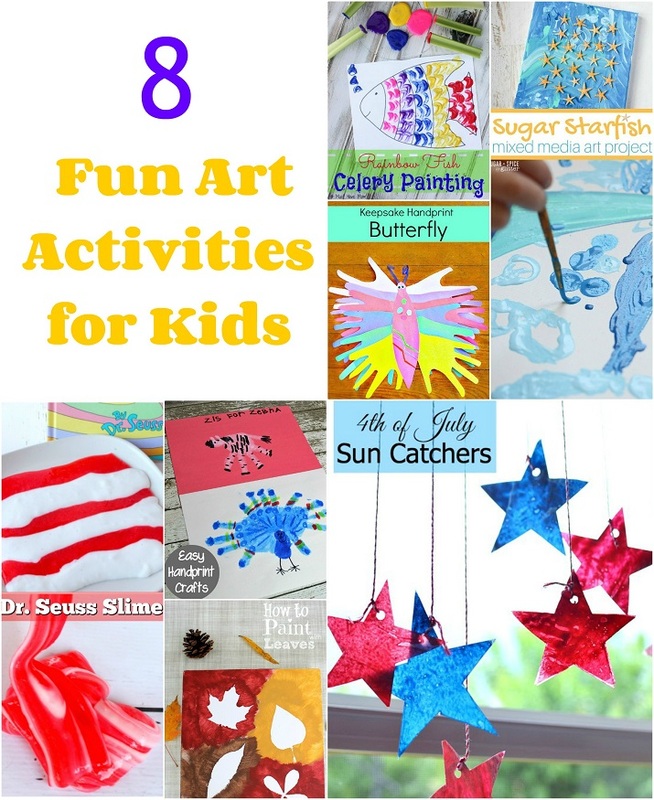 There’s endless creative possibilities! TUTTI FRUTTI the natural scented modeling dough is uber popular in Canada (since 1992), and is finally hitting the American market! 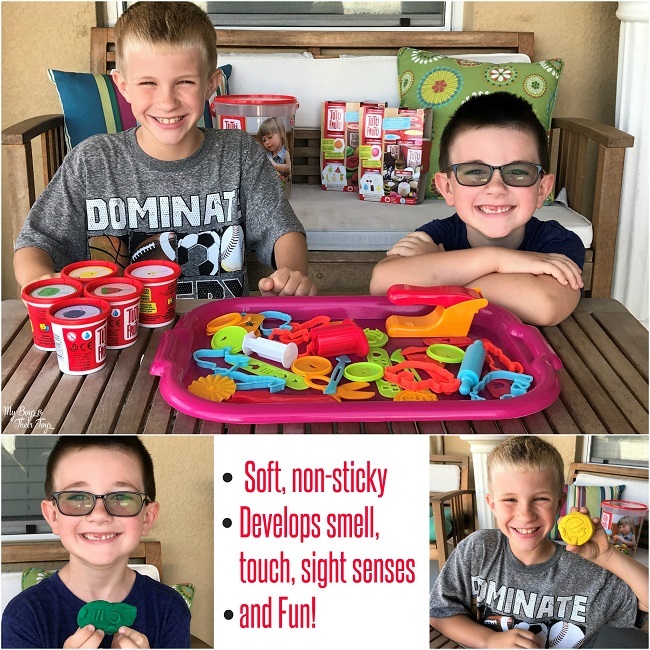 Their scented modeling dough features a unique, soft recipe that’s re-hydratable. Yep, that means if your dough begins to harden, just add a bit of water to the bottom of the container and seal it overnight. It will re-soften, saving you money! TUTTI FRUTTI is also made of natural ingredients and has a salted taste that turns kids away from eating it. They have a variety of exciting fruity scents (16 in all) including: blueberry, strawberry, vanilla, banana, watermelon, orange, chocolate, cherry, green apple and more! These inviting scents awaken senses while the kids play – they will love it! 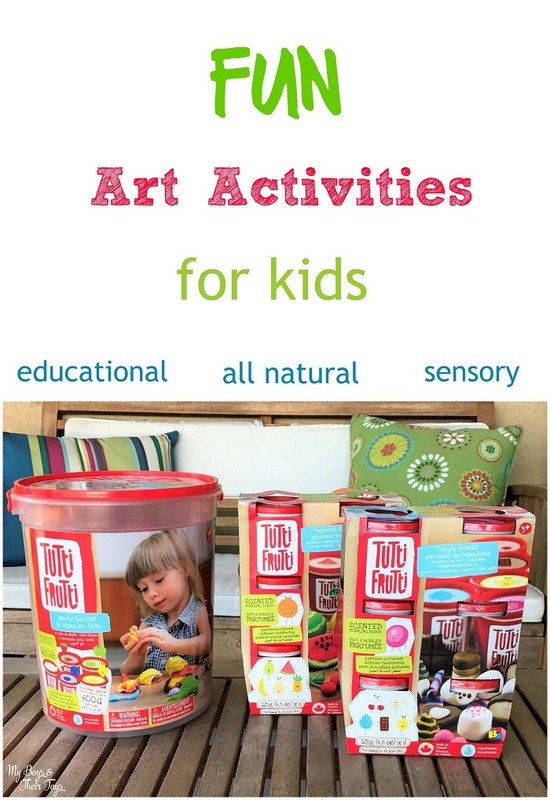 TUTTI FRUTTI provides wonderful benefits like fine motor skills, creativity and imagination, sensory play, eye-hand coordination, and social skills. Want to make strawberry pancakes with whip cream? You can! Or how about a creepy crawly bug? Find other creation ideas here. 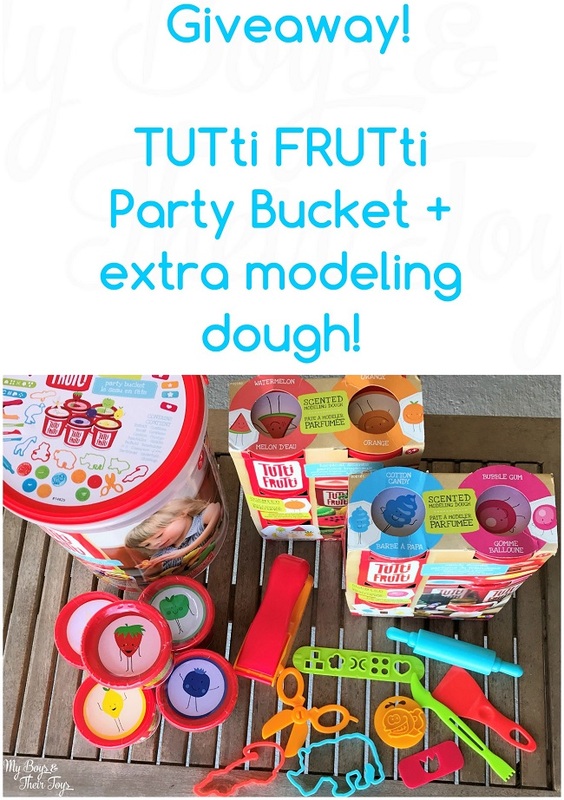 The party bucket includes a variety of tools and modeling dough to keep kids entertained for hours. 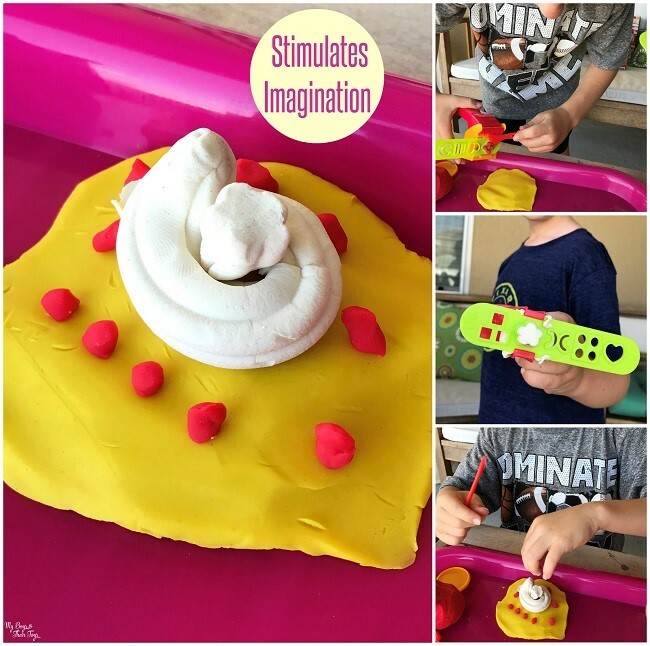 Both of my boys absolutely love making, molding, and playing with their TUTTI FRUTTI scented modeling dough. And it’s really easy to clean up! Just use the provided tools, like the scraper, and blot the dough on loose pieces to pick them up. It’s great for indoor and outdoor play. I recommend using a plastic tray when outdoors to avoid getting the modeling dough and tools dirty. Find TUTTI FRUTTI at Target stores nationwide and Amazon.com! Or enter for your chance to win a party bucket + extra modeling dough! My kids would like the cotton candy scent. Liam would love the banana scent! I think they would like the cherry. My kids would love the orange scent. i think watermelon and vanilla sound yummy!! My niece would like the cherry scent best. I think my grandkids would like strawberry because they just love to them. Strawberry is always a classic so i would have to go with that for sure!! My niece would love Strawberry! I think my son would like the watermelon scent. My kids would like cherry the most. I think she would like the bubble gum scent. My niece would like the bubblegum scent! They really love the smell of oranges!!! My youngest would love watermelon and my oldest would love banana! This is so neat! Mine would like Bubble Gum the best. They would rather sniff their gum than chew it. Bubble Gum is my guess for their preferred scent. My nephew would like the bubble gum scent. The bubblegum is perfect for my boys, thank you so much!! lemon would be one of our favorites. She would probably like the strawberry scent the most. The cotton candy scent would be great!! My daughter loves strawberries, so that would probably be her favorite scent! I would love all but strawberry the most! Its a tough call between cotton candy and watermelon! I think my kid whould like them all really but well the cotton candy whould be the one she whould like the most. I think my grandson would love the strawberry. My daughter would like strawberry scent! She loves strawberries! My kids wouldn’t care as long as it was sweet smelling!! Tutti Fruiti or some other type of fruit would be awesome! I bet the cherry smells pretty good. i think they are going to like the cotton candy scent the best. everyone loves cotton candy. They would probably like the bubble gum scent the best. My niece would like the cotton candy scent. She would go crazy for blueberry scented. Or, as she says it….booooooberry. 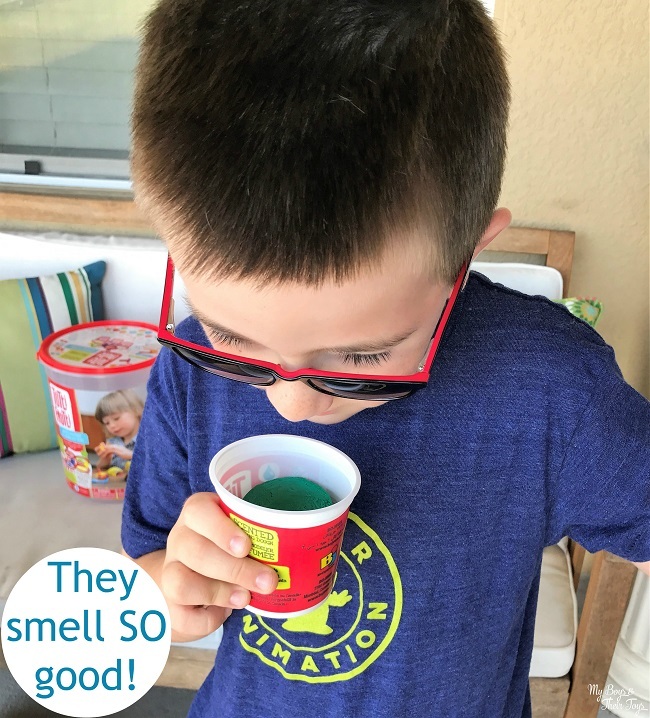 my kids love strawberries so they would love that scent. My grandddaughter’s favorite would be banana. My niece would love the watermelon. My granddaughter would love the strawberry. My sweet little Chloe Pearl is so very creative and she would love this! I think she would like the cotton candy scent most! I think my boys would like watermelon. My granddaughter would like chocolate the best I’m sure. He would love the banana scent!